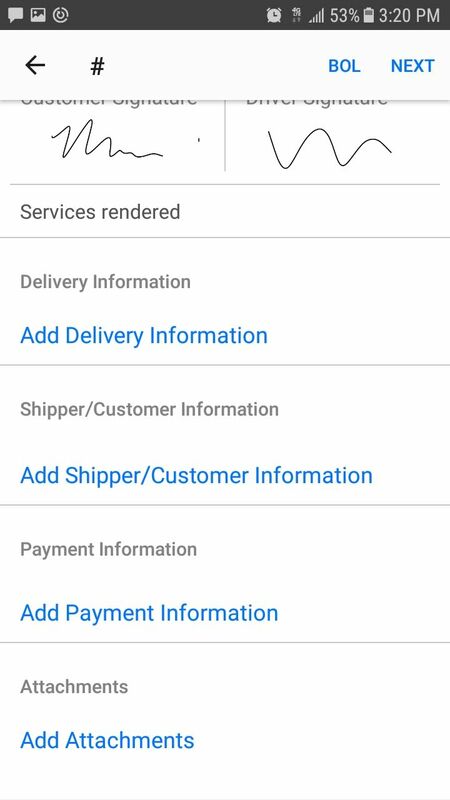 To Edit or Add Payment Information to an order, simply scroll down below Vehicle Info Pickup/Delivery Information and click the blue letters that read " Add Payment Information." 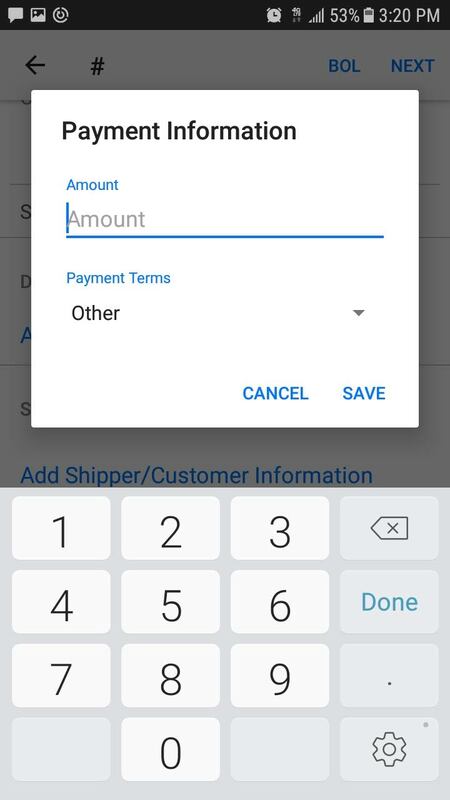 The "Payment Information" screen will open and the user can edit the "Amount" and "Payment Terms." This information can also be viewed on the Load Details screen. (Note: Always remember to press "Save" before moving on to a different screen). In addition, if the order contains a broker fee, the broker fee will be displayed after the price on the order screen. If the "Fleet Mode" option is enabled on the dashboard, this function will not work in the app. Payment Notes will not be available. Payment Notes and Broker Fee will not be editable.